She is a Fellow in Engineers Australia (FIEAust) and Senior Member of IEEE, the world largest professional organisation of Electrical and Electronics Engineers. She is the Vice President of the Malaysian Society of Automatic Control Engineers (MACE) 2016-2018. She was the Chair of IEEE Instrumentation and Measurement Society – Malaysia Chapter 2007-2009, the treasurer of the same society in 2010, and the educational executive committee in 2016 and secretary of IEEE Control Systems Society – Malaysia Chapter in 2010. She was the chair of Intelligent Mechatronics System Research Unit at the International Islamic University Malaysia in 2010-2018. She has been invited to be Keynote speaker and invited speaker on her research outcomes in International and National Conferences/Symposiums/Colloqiums/Seminars. She has successfully supervised 13 PhD students and 20 MSc students in Malaysia. She has evaluated more than 50 PhD theses and more than 30 MSc dissertations from Malaysian and Australian Universities. Bachelor of Electrical Engineering (Hons1), Royal Melbourne Institute of Technology (RMIT) University, Australia (1997). Malaysia Patent: "Portable Electronic Nose for Alcohol and Lard Detector in Food and Beverages," MY-156385-A, granted on 15 February 2016. Malaysia Patent: "Sensor Controlled Motorised Wheelchair," MY-161341-A, granted on 14 April 2017. •The International Postgraduate Research Scholarship, in pursuing Ph.D study at the Dept. 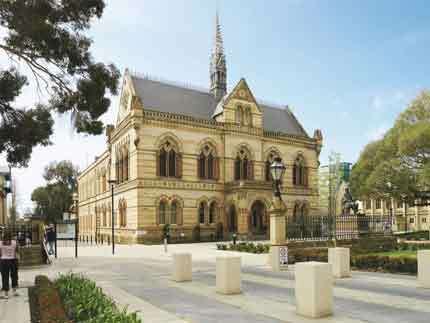 of Electrical and Electronic Engineering, University of Melbourne, 1997-2001. •Dept. 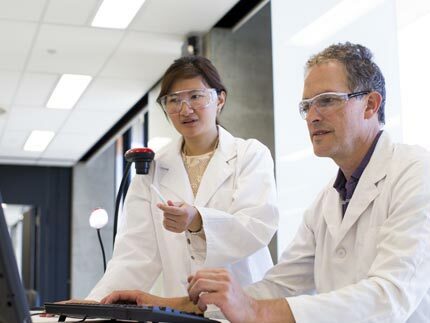 Electrical and Electronic Engineering studentship, University of Melbourne, 2000-2001. 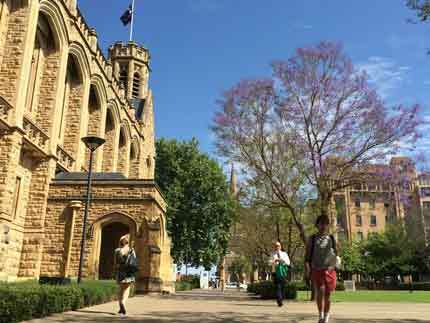 •The Melbourne Research Scholarship, in pursuing Ph.D study at the Dept. Electrical and Electronic Engineering, University of Melbourne, 1997-2000. •The Melbourne Traveling Scholarship, University of Melbourne, 1999. 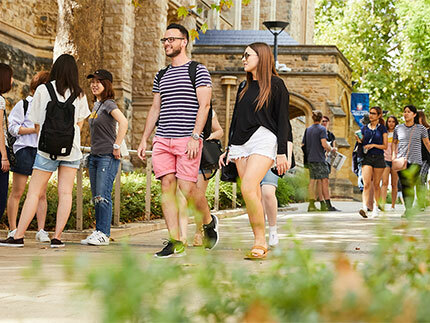 •The Science and Technology for Industrial Development Scholarship, Indonesian Research and Technology Ministerial Scholarship to pursue undergraduate study in Australia, 1993-1996. 1.Best Paper Award, 6th International Conference on Mechatronics (ICOM'17), Kuala Lumpur, 8-9 August 2017. 2. Best Paper Award, 2016 IEEE 4th International Symposium on Robotics and Intelligent Sensors (IEEE-IRIS 2016), Tokyo, Japan, 17-19 December 2016. 3. University Outstanding Researcher - International Islamic University Malaysia, 2 September 2016. 4.Outstanding Contributor Journal Articles Indexed- International Islamic University Malaysia, 2 September 2016. 5.Halal Hi-Tech Challenge 2015 Winner - for the project: LADPEN: Lard and Alcohol Detector - Portable Electronics Nose, Kuala Lumpur, Malaysia, RM 680,000 commercialization fund from Platcom and Agensi Inovasi Malaysia (main researcher). 6.Best Article in Non-Indexed Journal - Mechatronics Engineering, 2015, International Islamic University Malaysia. 7.Platinum Award, in Design category for the project: "Two-Wheeled Wheelchair for Disabled,", World Invention Awards, British Invention Show 2014, 22-25 October 2014, London, UK (co-researcher). 8.Gold Medal, in Leisure category for the project: "Two-Wheeled Wheelchair for Disabled,", World Invention Awards, British Invention Show 2014, 22-25 October 2014, London, UK (co-researcher). 9.Bronze Medal, in Industry category for the project: "LADPEN: Lard and Alcohol Detector-Portable Electronic Nose," British Invention Show 2014, 22-25 October 2014, London, UK (main researcher). 10.Bronze Medal, in Consumer category for the project: "vASL-Trans: Automatic Sign Language Translator," British Invention Show 2014, 22-25 October 2014, London, UK (main researcher). 11.2014 Outstanding Reviewer for International Journal of Intelligent Unmanned Systems (IJIUS), Emerald Group Publishing Limited (UK ), 15 May 2014. 12.Finalist, UAV Siswa Challenge, UAV competition organized by Dassault Aviation, Rafale International, 2013-2014. 13.Silver Medal, for the project: "Hybrid Technique using Singular Value Decomposition (SVD) and Support Vector Machine (SVM) Approach for Earthquake Prediction," International Research, Invention and Innovation Exhibition (IRIIE 2014), Kuala Lumpur, 11-13 June 2014. 14.Bronze Medal, for the project: "Rapid Detection of Lard and Ethanol using Lard/Alcohol Detector - Portable Electronic Nose (LAD-PEN)," PECIPTA 2013, Kuala Lumpur, 7-9 November 2013 (main researcher). 15.Runner-up of Best Application Paper Award, "Optimized State Feedback Regulation of 3DOF Helicopter System via Extremum Seeking," Asian Control Conference (ASCC 2013), Istanbul, 23-26 June 2013. 16.Silver medal, for the project: "Cardiac Arrhythmias Classification Using Regularized Least Squares Classifier," IIUM Research, Invention, and Innovation Exhibition 2013 (IRIIE 2013), 19-20 February 2013. 17.Bronze medal, for project: "Portable Dual Alcohol and Lard Detector in Food/Beverages," IIUM Research, Invention, and Innovation Exhibition 2013 (IRIIE 2013), 19-20 February 2013. 19.3rd Prize Commercial Potential Award: “Markerless Gesture Recognition Using Malaysian Sign Language,” IIUM Research, Invention, and Innovation Exhibition 2012 (IRIIE 2012), 21-22 February 2012. 20.Bronze medal, for project “Markerless Gesture Recognition Using Malaysian Sign Language,” IIUM Research, Invention, and Innovation Exhibition 2012 (IRIIE 2012), 21-22 February 2012. 21.Bronze medal, for project: “Novel Matlab-Based Low-Cost Autopilot,” IIUM Research, Invention, and Innovation Exhibition 2012 (IRIIE 2012), 21-22 February 2012. 22.Bronze medal, for project: “Efficient Prediction Error-Modeling (PEM) Approach to UAV Helicopter System Identification,” IIUM Research, Invention, and Innovation Exhibition 2012 (IRIIE 2012), 21-22 February 2012. 23.Best Innovation Award. Halal Science and Innovation Excellence 2011 Award, World Halal Research Summit 2011, for project “Rapid Detection of Ethanol Content in Beverages using IIUM - Fabricated Portable Electronic Nose.” Kuala Lumpur, 6-7 April 2011. 24.2nd Runner up, World Engineering Students Innovation Challenge (WISH 2011), for the project: “Automatic Wheelchair using Flexsensors”, 9-10 February 2011. Control System Design, System Dynamics and Control, Control Systems, Advanced Control Systems, Digital Control Systems, Modern Control Systems, Linear Electronics, Analog Electronics, Electronics, Electromagnetics, Calculus Variation, Modelling and Simulations, Electronics Design. I have received almost RM 3 Million research funding in the fields of Robotics and Control, Bio-signal Processing, Mechatronics System Design and Manufacturing in Malaysia. The research grants were from Ministry of Higher Education (MOHE), Ministry of Science, Technology and Innovation (MOSTI), Agency of Inovasi Malaysia, and from the Royal Society of New Zealand. I have received grants from industries, such as PROTON Berhad (Malaysia), National Space Agency of Malaysia and IIUM Advanced Technology (IAT) Sdn. Bhd. 1. Fundamental Research Grant Scheme (FRGS) Phase 1 2016, Ministry of Education (MOE), Project: "Investigation of Flight Dynamics, Stability and Control of Beetle-Mimicking Flapping Wings," 2016-2019, RM 131,000, Principal researcher, in-progress. 2. Concept to Commercialization Gap Fund, Agensi Inovasi Malaysia - Ministry of Finance, project: "LADPEN: Lard and Alcohol Detector - Portable Electronics Nose", 2016-2018, RM 680,000, main applicant, in-progress. 3. Erasmus Mundus, "LEADER: Links in Europe and Asia for engineering, eDucation, Enterprise and Research," EUR 2.5 Million 2014-2017, Coordinator in Malaysia, completed. 4. Special MOSTI fund, "Design and Development of Motorised Adjustable Vertical Platform for Satellite Assembly, Integration and Test Facility," with Agensi Angkasa Negara, RM354,000, 2015-2017, co-researcher, completed. 5. Fundamental Research Grant Scheme (FRGS) Phase 1 2014, Ministry of Education (MOE), Project: "Investigations of adaptive input shaping for control of flexible dynamic systems," RM 76,000, July 2014-June 2016, co-researcher, completed. 6. Universiti Malaya High Impact Research Grant, for project: "Physiological Control of Implantable Rotary Blood Pump," RM 36,000, 1 Jan 2014 - 31 Des 2014, Principal Collaborator, completed. 8. Fundamental Research Grant Scheme (FRGS) Phase 2 2013, Ministry of Education (MOE), Project: "Novel Modelling and Investigation of Rolling Mechanism with Bouncing Capability using Natural Phenomena-based Algorithm," RM65,000, 1 December 2013-30 November 2015, co-researcher, completed. 9. Research Acculturation Grant Scheme (RAGS) 2013, Ministry of Higher Education, Project: "Robust adaptive control of nonlinear system application to flight control system," RM 50,000, 1 January 2013 - 31 December 2014, co-researcher, completed. 10. Prototype Research Grant Scheme (PRGS), Ministry of Higher Education, Project: "Portable Electronic Nose for Alcohol Detection in Food and Beverages," RM 70,000, August 2012 - Jan 2014, principal researcher, completed. 11. Fundamental Research Grant Scheme (FRGS), Ministry of Higher Education, Project: "Mixed Unscented Kalman Filter (UKF) and Differential Evolution (DE) Method for Modeling of Beetle-Mimicking Ornithopter," RM 65,000, May 2012-2014, co-researcher, completed. 12. E-ScienceFund, Ministry of Science, Technology and Innovation, Malaysia, Project: “Smart Material Actuated Autonomous Snake Robot for Executing Flexible Motion,” RM 236,000, March 2012, co-researcher. 03-01-08-SF0140, completed. 13. E-ScienceFund, Ministry of Science, Technology and Innovation, Malaysia, Project: “Design and Development of Intelligent Two-Wheeled Wheelchair,” RM 174,000, March 2012, co-researcher. 06-01-08-SF0117, completed. 5. Fundamental Research Grant Scheme (FRGS), Ministry of Higher Education, Malaysia, Project: “A New Orthogonal Projection Based Parametric Modelling Technique for ECG Signal Analysis,” RM 78,000, July 2011, Principal Investigator, Completed. 14. Research Grant Matching Scheme, International Islamic University Malaysia, Project: Intelligent Autonomous Helicopter for Disaster Monitoring, with Konkuk University, South Korea, RM 123,000, January 2009, Project leader. Completed. 15. Research Grant Matching Scheme, International Islamic University Malaysia, Project: Real-Time Sign Language Analysis, Recognition and Synthesis based on Image Processing and Multimedia, with Massey University, New Zealand, RM 112,400, January 2009, Project leader. Completed. 16. International Science & Technology (ISAT) Linkages Fund, Royal Society of New Zealand, together with Prof. S. Demidenko-Massey University, Project: Real-Time Sign Language Analysis, Recognition and Synthesis based on Image Processing and Multimedia, NZD 7,950. June 2008, Overseas Project Leader. Completed. 1. Qudrat Khan, Rini Akmeliawati, Mahmood Ashraf Khan, "An Integral Sliding Mode-Based Robust Consensus Control Protocol Design for Electro-Mechanical Systems," Studies in Informatics and Control, 27(2) 147-154, June 2018, pp. 147-154 (WoS indexed). 2. Irwan Saputra, Irwandi Jaswir, Rini Akmeliawati, “Profiling of Wavelength Biomarkers of Pure Meat Samples from Different Species Based on Fourier Transform Infrared Spectroscopy (FTIR) and PCA Techniques,” International Journal on Advanced Science, Engineering and Information Technology, Vol 8, No 4-2 (2018), pp. 1617-1624. (SCOPUS indexed). 3. Ab Mutalib, Nurul Asyikeen and Jaswir, Irwandi and Akmeliawati, Rini and Ibrahim, A. M. and Aslam, Mohd. and Octavianti, Fitri (2017) Rapid detection of ethanol in beverages using IIUM-fabricated electronic nose. International Food Research Journal (IFRJ), 24 (Suppl.). S529-S532. (SCOPUS indexed). 4. Haris Maarif, Rini Akmeliawati, Teddy Surya Gunawan, “Survey on Language Processing Algorithm for Sign Language Synthesizer,” International Journal of Robotics and Mechatronics (IJRM), Vol. 4, N0. 2, 2017, http://dx.doi.org/10.21535%2Fijrm.v4i2.1001. 10. Qudrat Khan, Rini Akmeliawati, "An Integral Sliding Mode based Robust Consensus Tracking Control Algorithm Design for Electro-Mechanical Systems," International Journal of Intelligent Engineering and Systems, 2017 (in press), (SCOPUS indexed). 11. Auwalu M. Abdullahi, Z. Mohamed, M. S. Zainal Abidin, R. Akmeliawati, A. R. Husain, Amir A. Bature, Ado Haruna, "Negative Imaginary Theorem with an Application to Robust Control of A Crane System," Jurnal Teknologi, 78: 6–11 (2016), pp33–39. (SCOPUS indexed). 17. Auwalu M. Abdullahi, Z. Mohamed, M. S. Zainal Abidin, R. Akmeliawati, Amiru A. Bature, "Stability Analysis and Vibration Control of A Class of Negative Imaginary Systems," Jurnal Teknologi, Vol. 77, No. 17, pp.77-83, 2015 (SCOPUS indexed). 18. Ismaila B. Tijani , Rini Akmeliawati , Ari Legowo , Agus Budiyono, "Optimization of H-infinity Controller for Unmanned Helicopter Control using Multi Objective Differential Evolution (MODE)", Aircraft Engineering and Aerospace Technology, 87(4), pp 330-344, 2015. (WoS indexed). 21. J. Abedin, R. Akmeliawati, "Design and Development of Modular Autonomous Flying Vehicle," International Journal of Robotics and Mechatronics, Vol. 2, No. 2, 2015. 23. AlDahoul, Nouar and Htike@Muhammad Yusof, Zaw Zaw and Akmeliawati, Rini and Shafie, Amir Akramin and Khan, Sheroz (2015) Reinforcement learning based techniques in uncertain environments: problems and solutions. International Journal of Applied Engineering Research, 10 (8). pp. 20055-20066. ISSN 0973-4562. (SCOPUS indexed). 24. Safanah Raafat, Rini Akmeliawati, "Intelligent H2/H∞ Robust Control of an Active Magnetic Bearings System," Al-Khwarizmi Engineering Journal, Vol. 11, No. 2, pp. 1- 12 (2015). 25. Iwan Mahmud, Rini Akmeliawati, Agus Budiyono, "DE-based Robust Controller Design for Helicopter Cruise Control," International Journal of Robotics and Mechatronics, Vol. 1, No. 4, 2014. 26. Ismaila B. Tijani , Rini Akmeliawati , Ari Legowo , Agus Budiyono, "Nonlinear Identification of a Small Scale Unmanned Helicopter using Optimized NARX Network with Multiobjective Differential Evolution," Engineering Applications of Artificial Intelligence, 33 (2014), pp.99-115. (WoS indexed). 27. Ismaila B. Tijani , Rini Akmeliawati , Ari Legowo , Agus Budiyono, Asan G. Abdul Muthalif , (2014) "Hybrid DE-PEM algorithm for identification of UAV helicopter", Aircraft Engineering and Aerospace Technology, Vol. 86 Issue: 5, pp.385 - 405 (WoS indexed). 28. H. Baali, R. Akmeliawati, M. J. E. Salami, A. Khorshidtalab, and E. Lim, "ECG Parametric Modeling Based on Signal Dependent Orthogonal Transform," IEEE Signal Processing Letters, Vol. 21, No. 10, October 2014, pp. 1293-1297. (WoS indexed). 29. Rini Akmeliawati, Donald Bailey, Sara Bilal, Serge Demidenko, Nuwan Gamage, Shujjat Khan, Ye Chow Kuang, Melanie Ooi, Gourab Sen Gupta, "Assistive technology for relieving communication lumber between hearing/speech impaired and hearing people," the Journal of Engineering, 2014, doi: 10.1049/joe.2014.0039. (Open access by IET, ISSN: 2051-3305). 30. W. Astuti, R. Akmeliawati, W. Sediono, M. J. E. Salami, "Hybrid Techniques using Singular Value Decomposition (SVD) and Support Vector Machine (SVM) Approach for Earthquake Prediction," IEEE Journal of Selected Topics in Applied Earth Observations and Remote Sensing, Vol. 7, No. 5, 2014, pp. 1719-1728. (WoS Indexed). 31. S. Bilal, R. M. Nassr, R. Akmeliawati, "VMware as an Intermediate Platform between Windows 7 and Linux Fedora 15 for Real-Time Malaysian Sign Language Translator," International Journal of Modeling and Optimization, Vol. 4, No. 3, June 2014. pp 233-238. DOI: 10.7763/IJMO.2014.V4.379. 32. W. Astuti, W. Sediono, R. Akmeliawati, M. J. E. Salami, "Investigation on the Characteristic of Seismic Electric Signal (SES) prior to the Earthquake Using Adaptive STFT Techniques," Natural Hazards and Earth System Sciences, 13, 2013, pp1679-1686. (WoS indexed). 33. Astuti, Winda and Sediono, Wahju and Akmeliawati, Rini and Salami, Momoh Jimoh Eyiomika (2013) Earthquake prediction system based on the earth’s electric field signal prior to the earthquake: location determination. UACEE International Journal of Advances in Computer Science and its Applications, 3 (2). pp. 269-272. ISSN 2250 – 3765. 35. Abas, N., Akmeliawati, R., Ibrahim, Z., Rashid, M.Z.A., Samsudin, N.H., "Design of auto-stabilization control technique for a quadrotor system," (2013) Applied Mechanics and Materials 313-314 PP. 559 - 564, doi: 10.4028/www.scientific.net/AMM.313-314.559 (SCOPUS). 36. Hamza Baali, Momoh J. E. Salami, Rini Akmeliawati and Aida Khorshidtalab, "Cardiac Arrhythmia Classification Using Regularized Least Squares Classifier," European Journal of Scientific Research, Volume 103 No 2, June, 2013, pp267-281. ISSN 1450-216X/1450-202X. 38. S. Bilal, A. Shuriye, R. Akmeliawati, "The Impact of Sign Language and Speech Translators on the Malaysian Federation of the Deaf (MFD) community: A Statistical Analysis," International Journal of Applied Science and Technology (IJAST), ISSN 2221-0997 (Print), 2221-1004 (online), p.138-150. 39. S. M. Raafat, R. Akmeliawati, Ismael Abdulljabaar, "Robust H∞ Controller for High Precision Positioning System, Design, Analysis, and Implementation," Intelligent Control and Automation, 2012, 3, pp262-273. 49. Mahmud Iwan Solihin, Rini Akmeliawati, “Robust Control Design Based on Differential Evolution for Two-Mass System,” International Journal of Advanced Science and Technology, Vol. 1 (2011) No. 4, pp436-440. 50. Mahmud Iwan Solihin, Rini Akmeliawati, Ari Legowo, “Robust feedback control design using PSO-based optimisation: a case study in gantry crane control,” International Journal of Mechatronics and Automation, Inderscience, Vol. 1, No. 2, 2011. DOI: 10.1504/IJMA.2011.040042. 56. R. Akmeliawati, I. Panella, C. Bill, R. Hill, "Nonlinear modelling and stabilization of a tailless fighter," in Advances in Modeling and Analysis, Lectures on Modeling and Simulation, AMSE, Vol. 3, No. 3, 2002, pp15-30. 1. Akmeliawati, R., Mareels, I. M.Y., Book Review: Flight control systems, practical issues in design and implementation: Roger W. Pratt; Institution of Electrical Engineers, London, 2000, ISBN 0-85296-766-7, Automatica, Vol 38, Issue: 12, pages 2191-2193, 2002. 1. Q Khan, R Akmeliawati, " Robust cooperative tracking protocol design for networked higher order nonlinear systems via adaptive second order sliding mode," 2017 11th Asian Control Conference (ASCC), 2405-2410. 2. Rami Ali Al-Khulaidi, Rini Akmeliawati, "Speech to Text Translation for Malay Language," International Conference on Mechatronics (ICOM'17), Kuala Lumpur, 8-9 August 2017, IOP Conf. Series: Materials Science and Engineering 260 (2017) 012042 doi:10.1088/1757-899X/260/1/012042. 3. A A Alkathiri, R. Akmeliawati and N Z Azlan, " Closed-loop model identification of cooperative manipulators holding deformable objects," International Conference on Mechatronics (ICOM'17), Kuala Lumpur, 8-9 August 2017, IOP Conf. Series: Materials Science and Engineering 260 (2017) 012035 doi:10.1088/1757-899X/260/1/012035. 4. A. F. M. Fuad, I. A Mahmood, S. Ahmad, N. M. H. Norsahperi, S. F. Toha, R. Akmeliawati and F. J. Darsivan, "Modeling and simulation for heavy-duty mecanum wheel platform using model predictive control," IOP Conf. Series: Materials Science and Engineering 184 (2017) 012050 doi:10.1088/1757-899X/184/1/012050. 5. N M H Norsahperi, S Ahmad, A F M Fuad, I A Mahmood, S F Toha, R Akmeliawati and F J Darsivan, "Modelling and control of Base Plate Loading subsystem for The Motorized Adjustable Vertical Platform," IOP Conf. Series: Materials Science and Engineering 184 (2017) 012049 doi:10.1088/1757-899X/184/1/012049. 8. NMH Norsahperi, S Ahmad, AFM Fuad, IA Mahmood, SF Toha, R Akmeliawati, FJ Darsivan, "Modelling and control of Base Plate Loading subsystem for The Motorized Adjustable Vertical Platform," IOP Conference Series: Materials Science and Engineering 184 (2017), 012049. 10. AFM Fuad, IA Mahmood, S Ahmad, NMH Norsahperi, SF Toha, R Akmeliawati, FJ Darsivan, "Modeling and simulation for heavy-duty mecanum wheel platform using model predictive control," IOP Conference Series: Materials Science and Engineering 184 (1), 012050. 12. M. A. Gedi, R. Akmeliawati, "Extremum Seeking Control for Autonomous Rotor Craft," Proceeding of 11th International Conference on Intelligent Unmanned Systems (ICIUS 2015), Tanjung Benoa, Bali, Indonesia, 27-29 August 2015. 13. J. Abedin, R. Akmeliawati, "Distributed Flight Array of Autonomous Flying Vehicles," Proceeding of 11th International Conference on Intelligent Unmanned Systems (ICIUS 2015), Tanjung Benoa, Bali, Indonesia, 27-29 August 2015. 14. F. A. Azis, R. Akmeliawati, S. Ahmad, " Mathematical Modelling of Hexacopter System: a Port-Hamiltonion Approach," Proceeding of 11th International Conference on Intelligent Unmanned Systems (ICIUS 2015), Tanjung Benoa, Bali, Indonesia, 27-29 August 2015. 15. Fitri Octavianti, Nurul Asyikeen Ab Mutalib, Irwandi Jaswir, Rini Akmeliawati, Adi Rahmadsyah, Azrul Hafiz Bin Abdul Aziz, Russly Abdul Rahman, "Rapid Method for Detection of Ethanol Content in Mouthwash using Locally Fabricated Portable Electronic Nose," Scientific Cooperations Medical Workshops 21-22 July, 2015, Istanbul - Turkey. 16. Ismaila B. Tijani, Rini Akmeliawati, and Ari Legowo, "Real-Time Implementation of H∞ Controller for UAV Helicopter Using MATLAB-Based Embedded Programming Approach," in the proceeding of 10th Asian Control Conference, Kota Kinabalu, Malaysia, 31 May - 3 June, 2015. 17. Qudrat Khan, Aamer Iqbal Bhatti and Rini Akmeliawati, "Robust Stabilization of Underactuated Systems via Fast Terminal Sliding Mode," in the proceeding of 10th Asian Control Conference, Kota Kinabalu, Malaysia, 31 May - 3 June, 2015. 18. Safanah M. Ra'afat, Shahad S. Ali and Rini Akmeliawati, "Real-Time Optimization And Control of 3DOF Helicopter System Via Extremum Seeking Algorithm," in the proceeding of 10th Asian Control Conference, Kota Kinabalu, Malaysia, 31 May - 3 June, 2015. 19. Abqori Aula, Salmiah Ahmad, Rini Akmeliawati, "PSO-based State Feedback Regulator for Stabilizing a Two-wheeled Wheelchair in Balancing Mode," in the proceeding of 10th Asian Control Conference, Kota Kinabalu, Malaysia, 31 May - 3 June, 2015. 20. Auwalu M. Abdullahi, Z. Mohamed, M.S. Zainal Abidin, R. Akmeliawati, A.R. Husain, and Amir A. Bature, " LMI-Based State Feedback Controller Design for Vibration Control of a Negative Imaginary System," in the proceeding of 10th Asian Control Conference, Kota Kinabalu, Malaysia, 31 May - 3 June, 2015. 21. Yazan Al Jeroudi, M. A. Ali, Marsad Latief, Rini Akmeliawati, "Online Sequential Extreme Learning Machine Algorithm Based Human Activity Recognition Using Inertial Data," in the proceeding of 10th Asian Control Conference, Kota Kinabalu, Malaysia, 31 May - 3 June, 2015. 22. Ahmed, O. A., Latief, M., Ali, M. A., Akmeliawati, R., "Stabilization and Control of Autonomous Hexacopter via Visual-Servoing and Cascaded-Proportional and Derivative (PD) Controllers, Proceeding of the 2015 6th International Conference on Automation, Robotics and Applications, pp542-549. DOI: 10.1109/ICARA.2015.7081206. 23. S. M. O. S. Bilal, R. Akmeliawati, "The impact of geometric and motion features on sign language translators," 9th International Conference on Computer Engineering and Applications (CEA '15), Dubai, United Arab Emirates, 22th - 24th Feb 2015. 24. Maarif, Haris Al Qodri, Akmeliawati, Rini and Htike @ Muhammad Yusof, Zaw Zaw and Gunawan, Teddy Surya, " Word classification for sign language synthesizer using hidden Markov model." In: 5th International Conference on Information & Communication Technology for The Muslim World (ICT4M 2014), Nov 17--19, 2014, Kuching, Sarawak. 25. Astuti, Winda and Salami, Momoh Jimoh Emiyoka, Akmeliawati, Rini and Sediono, Wahju "Singular Value Decomposition (SVD)-based orthogonal transform approach for earth’s electric field signal processing." In: 5th International Conference on Computer & Communication Engineering 2014 (ICCCE 2014) , 23rd-25th September 2014, Kuala Lumpur, Malaysia. 26. Maarif, Haris Al Qodri and Akmeliawati, Rini and Htike@Muhammad Yusof, Zaw Zaw and Gunawan, Teddy Surya, "Complexity algorithm analysis for edit distance." In: 5th International Conference on Computer and Communication Engineering (ICCCE2014), 23rd-25th September 2014, Kuala Lumpur, Malaysia. 27. Astuti , Winda and Ari, F, Akmeliawati, Rini and Sediono, Wahju, "Graphical Based Monitoring of the Earth’s Electric Field Signal prior to the Earthquake." In: 2014 The 5th International Conference on Information & Communication Technology For The Muslim World (ICT4M 2014), 17-19 November 2014, Sarawak, Malaysia. 28. Sara Bilal, Rasheed M, Nassr, and Rini Akmeliawati, "VMware as an Intermediate Platform between Windows 7 and Linux Fedora 15 for Real-Time Malaysian Sign Language Translator," 2014 The 3rd International Conference on Pure and Applied Mathematics (ICPAM 2014), 18-19 July 2014, Madrid, Spain. 29. Altalmas, Tareq, M. and Ahmad, Salmiah and Akmeliawati, Rini and Aula, Abqori, "Centre of Gravity (C.O.G)-based analysis on the dynamics of the extendable Double-Link Two-Wheeled Mobile Robot," In: 5th International Conference on Mechatronics (ICOM'13), 2 – 4 July 2013, Kuala Lumpur, Malaysia. 30. Aula, Abqori and Altalmas, Tareq M. and Ahmad, Salmiah and Akmeliawati, Rini and Sidek, Shahrul Na'im, "Integrated design, modelling and analysis of two-wheeled wheelchair for disabled," In: 16th International Conference on Climbing and Walking Robots and the Support Technologies for Mobile Machines (CLAWAR’13), 14 – 17 July 2013, Sydney, Australia. 31. Salmiah Ahmad, Muhammad Taqiuddin Abdul Rahman, Rini Akmeliawati, "Mathematical Modeling of an Extendable Link of Double-link Two Wheeled Mobile Robot," 2013 IEEE/ASME International Conference on Advanced Intelligent Mechatronics, 9-12 July 2013, Wollongong, Australia. 32. Altalmas, Tareq, M. and Ahmad, Salmiah and Akmeliawati, Rini and Sidek, Shahrul Na'im and Aula, Abqori, "Mechanical design and simulation of two-wheeled wheelchair using solidworks," In: 5th International Conference on Mechatronics (ICOM'13), 2 – 4 July 2013, Kuala Lumpur, Malaysia. 33. Astuti , Winda and Sediono, Wahju and Akmeliawati, Rini and Salami, Momoh Jimoh Emiyoka , "Time domain feature extraction technique for earth’s electric field signal prior to the earthquake," In: 5th International Conference on Mechatronics (ICOM'13), 2 - 4 July 2013, Kuala Lumpur, Malaysia. 34. Aula, Abqori and Akmeliawati, Rini and Ahmad, Salmiah, "Towards Port-Hamiltonian approach for modeling and control of two-wheeled wheelchair," In: 5th International Conference on Mechatronics (ICOM'13), 2 – 4 July, 2013, Kuala Lumpur, Malaysia. 35. R. Akmeliawati, S. M. Raafat, "Optimized State Feedback Regulation of 3DOF Helicopter System via Extremum Seeking," Asian Control Conference (ASCC 2013), Istanbul, 23-26 June 2013 (Awarded as Finalist of Best Application Paper). 36. W. Astuti, W. Sediono, R. Akmeliawati, and M. J. E. Salami, "Earthquake Prediction System Based on The Earth’s Electric Field Signal Prior to The Earthquake: Location Determination," in the proceedings of the Second Intl. Conference on Advances in Information Technology — AIT 2013, Bangkok, ISBN: 978-981-07-5939-1, 06-07 April 2013. 37. Ab Mutalib, Nurul Asyikeen and Jaswir, Irwandi and Akmeliawati, Rini, "IIUM-fabricated portable electronic nose for halal authentication in beverages." In: The 4th International Conference on Information & Communication Technology for the Muslim World (ICT4M), 25-27 Mar 2013, Rabat, Morocco. 38. Hamza Baali, Rini Akmeliawati and Momoh J. E. Salami, "Regularized Least Squares Applied to Heartbeat Classification using Transform-based and RR Intervals Features," in the proceeding of Bioinformatics 2013, Barcelona, Spain, 11-14 February 2013, pp164-170, DOI: 10.5220/0004242101640170. 39. I. B. Tijani, A. Legowo, R. Akmeliawati, " Identification of Longitudinal Dynamics of an Autonomous Small Scale Helicopter Using Hybrid Differential Evolution and Prediction Error Algorithm," SCIS-ISIS 2012, Kobe, Japan, November 20-24, 2012, pp2210-2212. 40. I. B. Tijani, R. Akmeliawati, A. Legowo, "MATLAB-Based Low-Cost Autopilot For Autonomous Helicopter Deployment," in the proceeding of the 8th International Conference on Intelligent Unmanned Systems (ICIUS 2012), Singapore, 24-26 October 2012. 42. Nurul Asyikeen A.M.1, Halimah Mohd Osman, Rini Akmeliawati, Irwandi Jaswir, Muhammad Ajwad Koya, Muhammad Salman Hameed, "Rapid Detection of Lard Compound Using Portable Electronic Nose," International Seminar on Science and Technology Innovation (ISSTIN 2012), Jakarta, Indonesia, 2-4 Oct 2012, pp 174-178. 43. W.Astuti, W.Sediono, A.M. Aibinu, R. Akmeliawati, M. J. E. Salami, " Adaptive Short Time Fourier Transform (STFT) Analysis of Seismic Electric Signal (SES): A Comparison of Hamming and Rectangular Window," in the proceeding of International Symposium on Industrial Electronics and Applications (ISIEA 2012), Bandung, Indonesia, 23-26 September 2012. 44. Fitri, Yakub, Akmeliawati, Rini, "Study Review on Nominal Characteristic Trajectory Following Controller for Point-To-Point Positioning Systems," in the proceeding of The 7th IEEE Conference on Industrial Electronics and Applications (ICIEA 2012), July 18 - 20, 2012, Singapore, pp1942-1947. ISBN: 978-1-4577-2119-9. 45. I. T. Baiyo, R. Akmeliawati, "System Identification and Characterization of Parameterized State-Space Model of a Small Scale UAV Helicopter," in the proceeding of the 20th International Symposium on Mathematical Theory of Networks and Systems (MTNS), 9 – 13 July 2012, Melbourne, Australia. 46. H. A. Maarif, R. Akmeliawati, S. Bilal, "Malaysian Sign Language Database for Research," in the proceeding of the 4th International Conference on Computer and Communication Engineering 2012 (ICCCE'12), 3-4 July 2012, Kuala Lumpur, Malaysia, pp798-801, ISBN: 978-1-4673-0479-5. 47. S. Bilal, R. Akmeliawati, A. A. Shafie, M. J. E. Salami, “Modeling of Human Upper Body for Sign Language Recognition,” in the proceeding of the 5th International Conference on Automation, Robotics and Applications, Wellington, New Zealand, 6-8 December 2011, ISBN: 978-1-4577-0330-0, pp104-108. 48. Mahmud Iwan, Ari Legowo, Rini Akmeliawati, Agus Budiyono, “DE-based Robust Feedback Controller for Longitudinal Cruise Control of Helicopter,” ICIUS 2011 - International Conference on Intelligent Unmanned Systems, Chiba, Japan, 31 Oct – 2 November 2011. 49. N. Abas, A. Legowo, R. Akmeliawati, “System Identification for an Autonomous Quadrotor using Extended and Unscented Kalman Filter,” 2011 11th International Conference on Control, Automation and Systems, ICCAS 2011, Gyeonggi-do, Korea, 26-29 October 2011. 50. Hamza Baali, Rini Akmeliawati, Momoh J E Salami, Musa Aibinu, Asan Gani, “Transform Based Approach for ECG Period Normalization,” in Computing in Cardiology 2011, Hangzhou, China,18 – 22 September 2011. 68. I. B. Tijani, R. Akmeliawati, A. Legowo, A. Budiyono, A. G. A. Muthalif, "H∞ Robust Controller for Small Scale Autonomous Helicopter Hovering Control," the proceedings of the International Conference on Intelligent Unmanned Systems (ICIUS 2010), Bali, Indonesia, 3-5 November 2010. 79. M. I. Solihin, R. Akmeliawati, W. Martono and A. Legowo, ‘Robust State Feedback Control Design via Constrained Optimization using Differential Evolution,” 2010 IEEE International Conferences on Cybernetics & Intelligent Systems (CIS 2010) and IEEE Conference on Robotics, Automation and Mechatronics (RAM 2010) (CIS-RAM 2010), Singapore, 28-30 June 2010. 89. Purtojo, R. Akmeliawati and Wahyudi, “Two-parameter Compensator Design for Point-to-point (PTP) Positioning System Using Algebraic Method,” the second International Conference on control, Instrumentation and Mechatronic Engineering (CIM2009), Malacca, Malaysia, 2-3 June 2009. 96. R. Akmeliawati, H. K. Widhiputranto, “Educational Project on a Simple Voice Identification using Intelligent Sound Implementation and Vector Quantization,” in Proceedings of the 3rd International Conference on Mechatronics, Kuala Lumpur, 18-20 December 2008, pp 422-427, ISBN: 978-983-43090-3-9. 97. Purtojo, R. Akmeliawati, Wahyudi, “Fuzzy-based NCTF Controller for PTP Positioning: Fuzzy Membership and Rule-based Modifications”, Proceedings of the 3rd International Conference on Mechatronics, Kuala Lumpur, 18-20 December 2008, pp 52-59, ISBN: 978-983-43090-3-9. 98. L. J. Jones, R. Akmeliawati, C. P. Tan, “Aircraft Automatic Maneouvering System Using Energy-based Control Technique”, in Proceedings of the 17th IFAC World Congress, Seoul, 6-11 July 2008, pp 1200-1205, ISBN: 978-3-902661-00-5. 99. K. Y. Ng, C. P. Tan, R. Akmeliawati, “Disturbance Decoupled Fault Reconstruction using Sliding Mode Observers”, in Proceedings of the 17th IFAC World Congress, Seoul, 6-11 July 2008, pp 7215-7220, ISBN: 978-3-902661-00-5. Visiting Professor, Dept. Mechatronics Engineering, Universiti Teknologi Melaka, Malaysia, 2014-2018. Visiting Professor, Dept. Electrical and Electronics Engineering, University of Melbourne, 12-22 September 2011 and 4 -25 July 2012. Invited to give motivational talks in high schools, such as the International Islamic School in Kuala Lumpur in 2015-2017 (twice a year), on Mechatronics Engineering and Robot Technology and for visiting students from the Global Islamic Boarding School from Indonesia. I regularly give talks, both technical and motivational talks for research students at various universities in Malaysia under IEEE activities, and also under student societies or clubs.